Heritage New Zealand's Northland Area Manager talks about what archaeology can tell us about the past environment of the Kaipara Harbour and what has changed over the years. For more information: contact Bill at Heritage New Zealand's Kerikeri office, tel (09) 407 0471 or email bedwards@heritage.org.nz. This event is part of the national Archaeology Week 2018 programme. 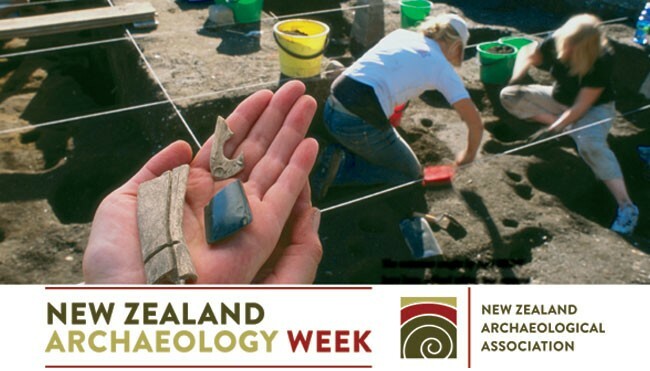 New Zealand Archaeology Week is presented by the New Zealand Archaeological Association with the aim of increasing public awareness and highlighting the importance of protecting our archaeological heritage by promoting the work of New Zealand archaeologists both at home and abroad.